An exciting new take on a classic hybrid and our exclusive clone ! 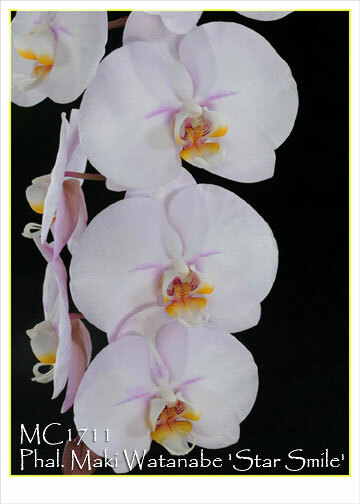 This is our select seedling from F2 line breeding of Phal. 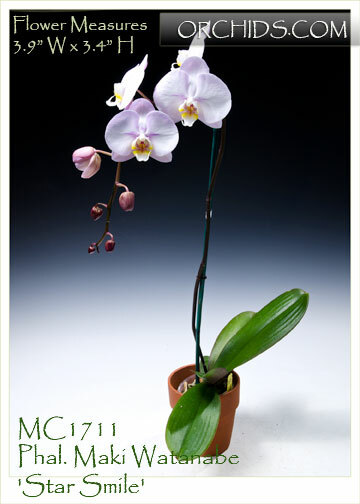 Maki Watanabe and is a favorite of our Japanese clients who love soft pastel pink flowers. 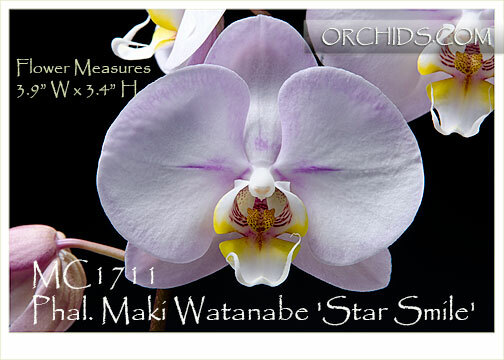 Its flowers, reaching almost 4” in size, differ from the original P. Maki Watanabe in having the unique accent of a pink band radiating from the center of the petals. To further add to its allure, it displays its flowers on a naturally cascading inflorescence, allowing each flower to be enjoyed to its fullest. Highly Recommended !